We knew a Sphynx cat once. Her name was Grandma Wrinkles and we admired her greatly. She had zero reservations about her unconventional look and was unafraid to show off her naked folds of skin. Grandma Wrinkles was not like other felines who claw at the chance to roll around in cat nip or sun bathe in the living room window; Grandma Wrinkles had a mission. She was determined to prove to the public that Sphynx cats are not the alien-like creatures that deserve to be gawked at. This determined kitty was setting out on a journey to prove that bald is beautiful! We don't know what happened to this passionate creature, but we hope she's out in the world drawing attention to her cause. If you want to partake in this positive body image movement, we know that Grandma Wrinkles would be overjoyed. 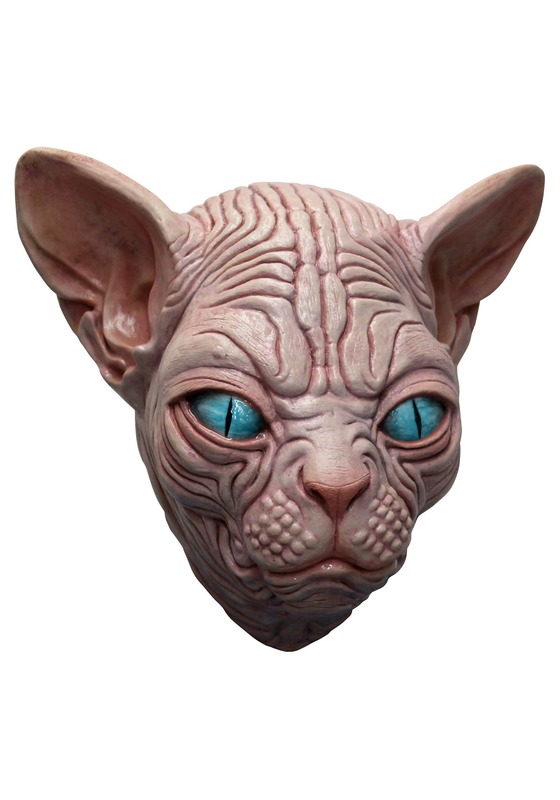 She left us with a bunch of these Sphynx cat masks to send out to all her supporters. Wear this natural latex mask to let others know that bald is beautiful and no cat should ever be ashamed of their naked bodies!